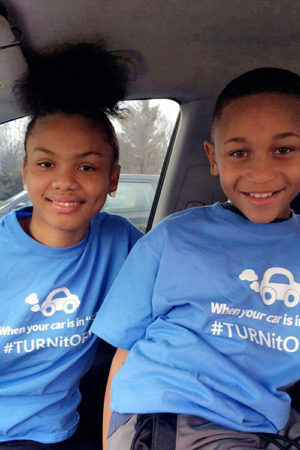 Stop Idling – Mainstream Green, Inc.
#TURNitOFF with Mainstream Green! STOP idling! When your car is in "P", #TURNitOFF! When an internal combustion engine is running in a vehicle that is not moving, it's called "idling." Most people are shocked to find out that Americans waste 3.8 MILLION gallons of fuel EVERY day, by idling! That's a lot of wasted fuel. At $2.62 a gallon for gas on April 6, 2018, that's $9,950,000 dollars being burned up for nothing. Every. Single. Day. 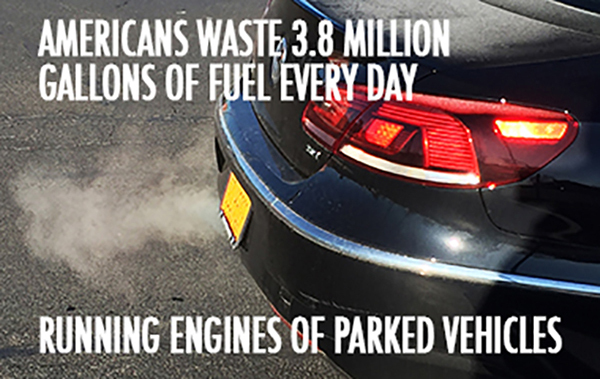 Idling not only wastes money and fuel, it also contributes to local air pollution, respiratory disease, and global climate change. All we need to do as a society, to stop this waste and damage, is to turn our cars off whenever they are not in motion. Give a kid you love this t-shirt, cleaner air, and a planet to keep living on! 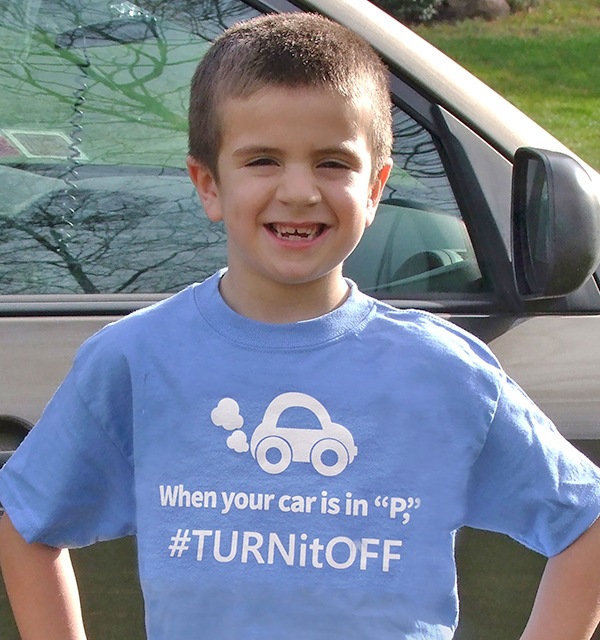 Purchase one of these $15 t-shirts and spread the message about idling!